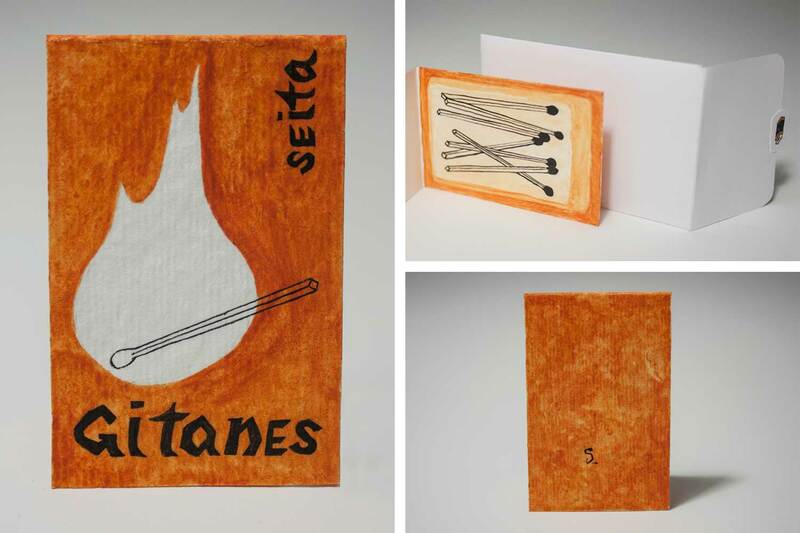 This Advent calendar project is inspired by the Danish folktale of the “Little Match Girl.” In this story a little girl is sent to sell matches to earn money for her family, but as the night gets colder she begins lighting the matches to keep herself warm. 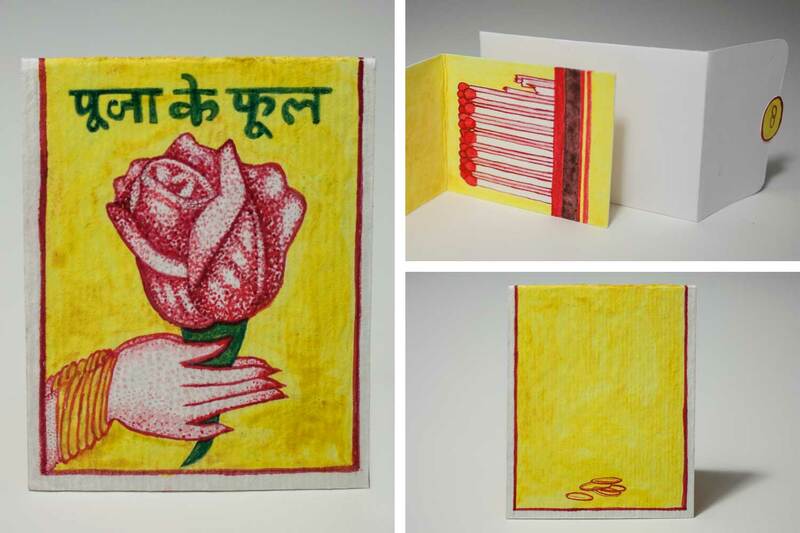 With the lighting of each match she sees a blaze of short-lived hope, extinguished when the flame stops burning. 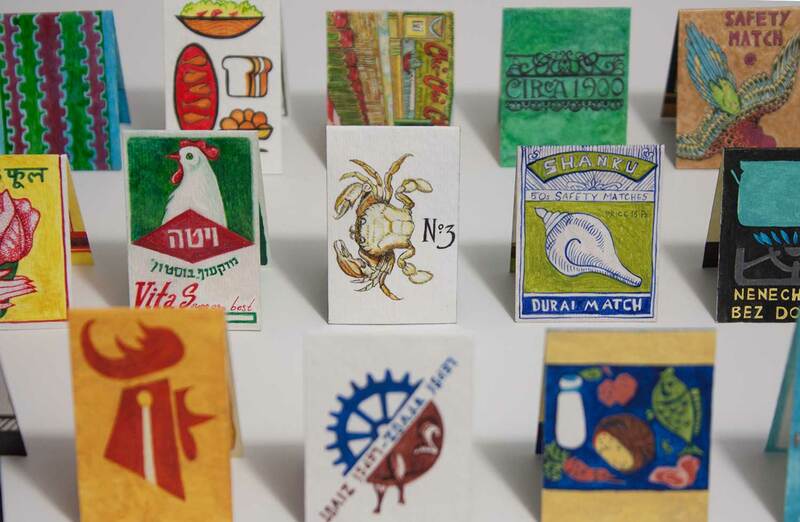 This advent calendar contains 25 matchbooks, beginning with a single match in the first (almost empty) book and ending with a full book of 25 matches. 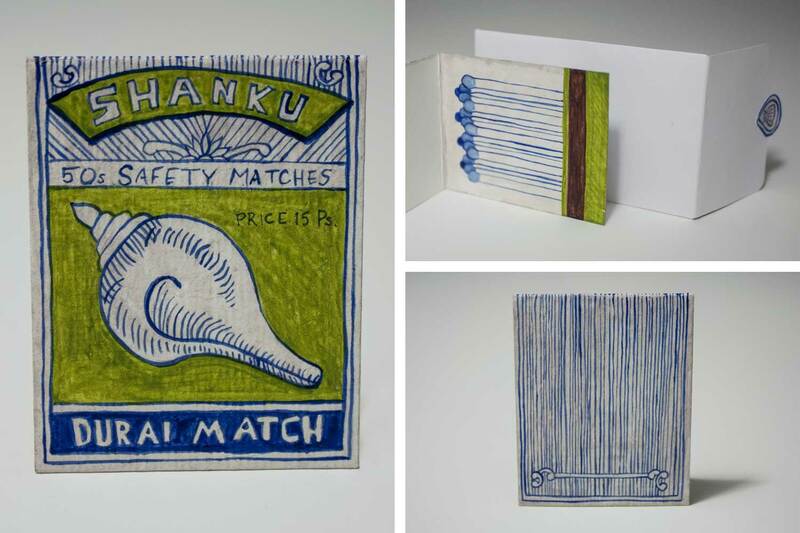 The growing number of matches symbolize the increased hope felt as the Christmas holiday draws nearer. 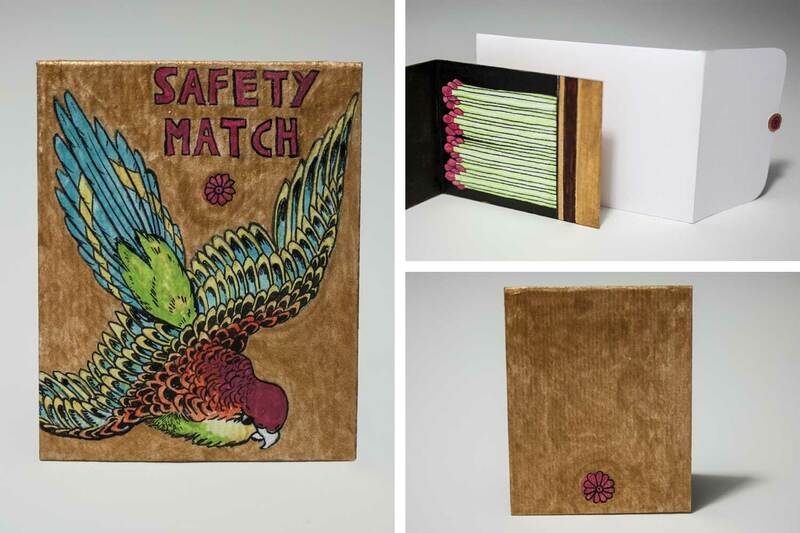 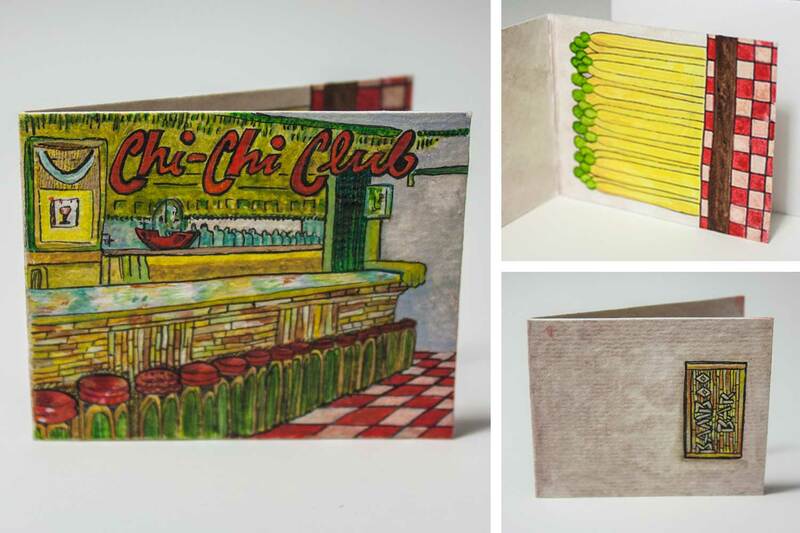 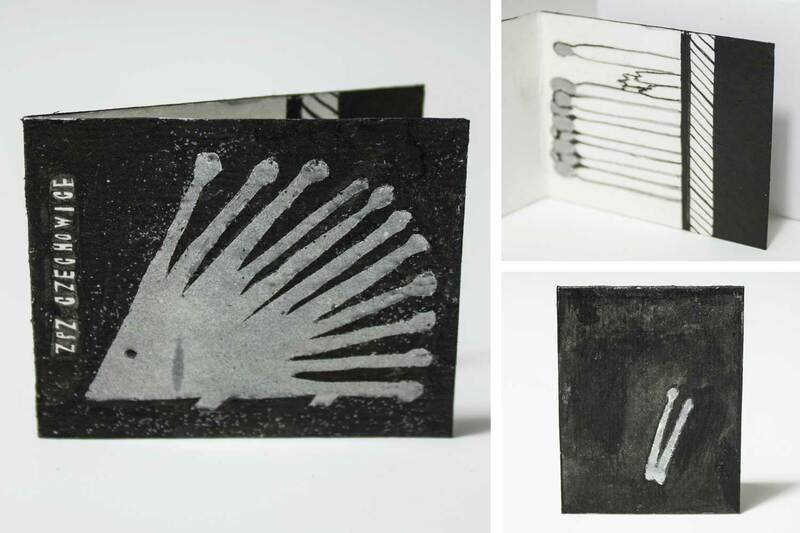 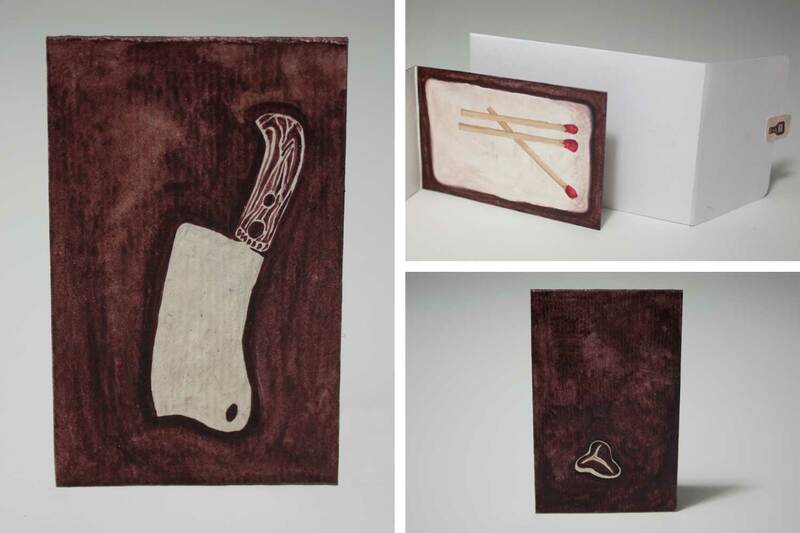 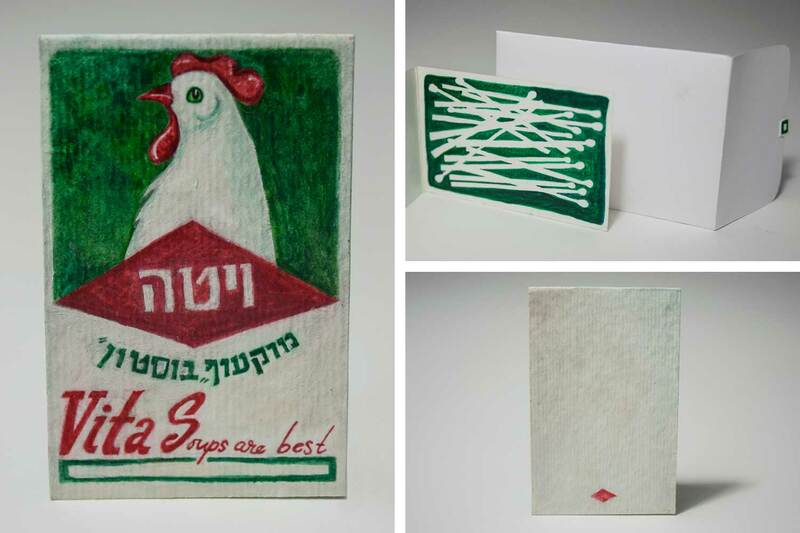 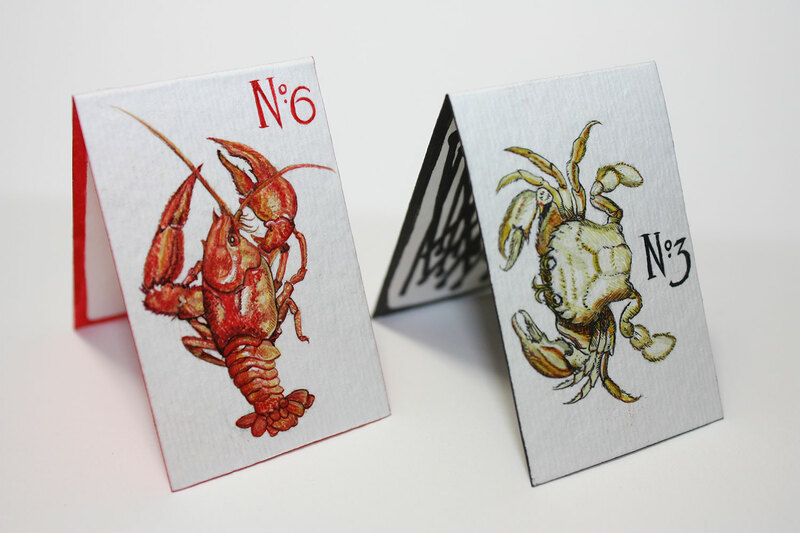 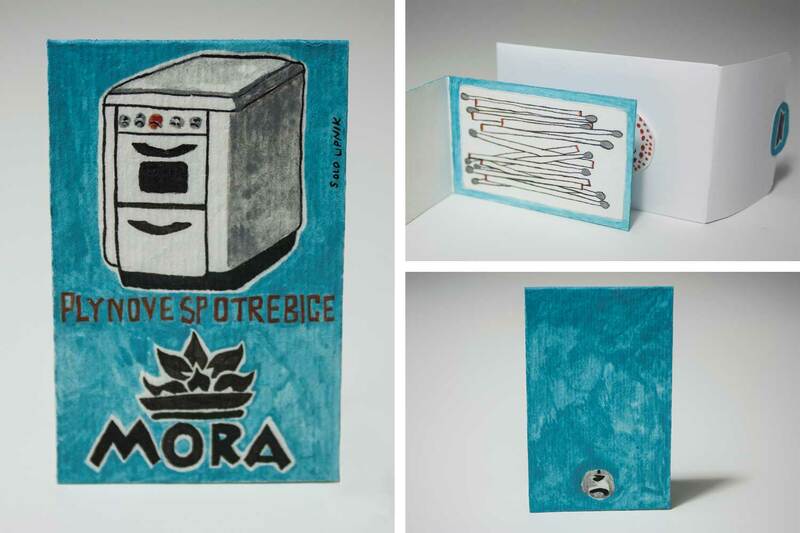 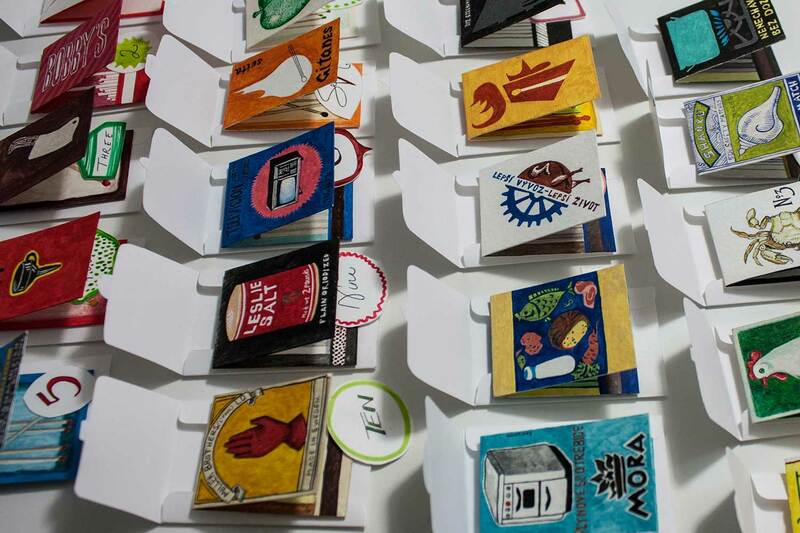 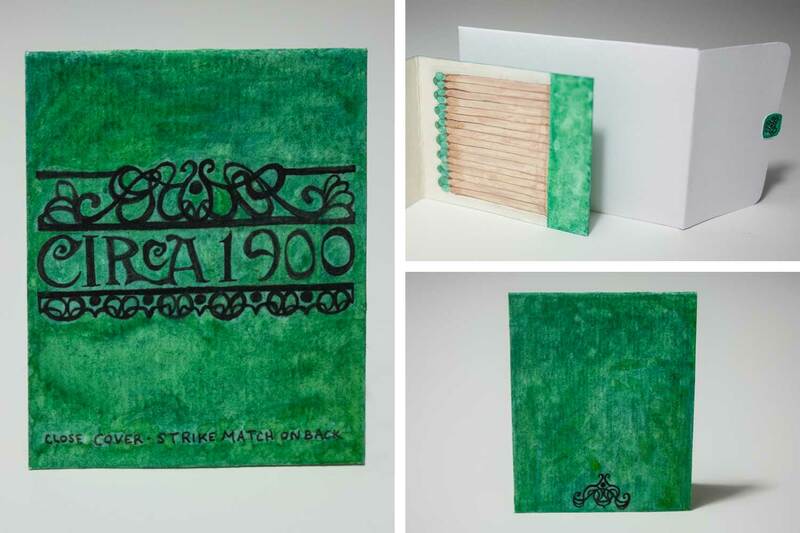 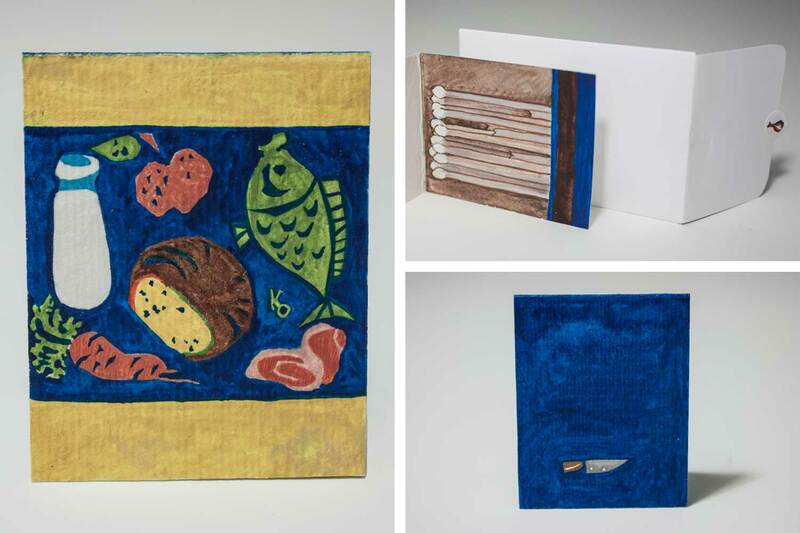 Each hand-painted card is inspired by an existing antique matchbook or box, with custom interior, back, and envelope.